Rugged Ridge All Terrain Front Floor Liners for 2007-2015 Jeep Wranglers JK All Models. 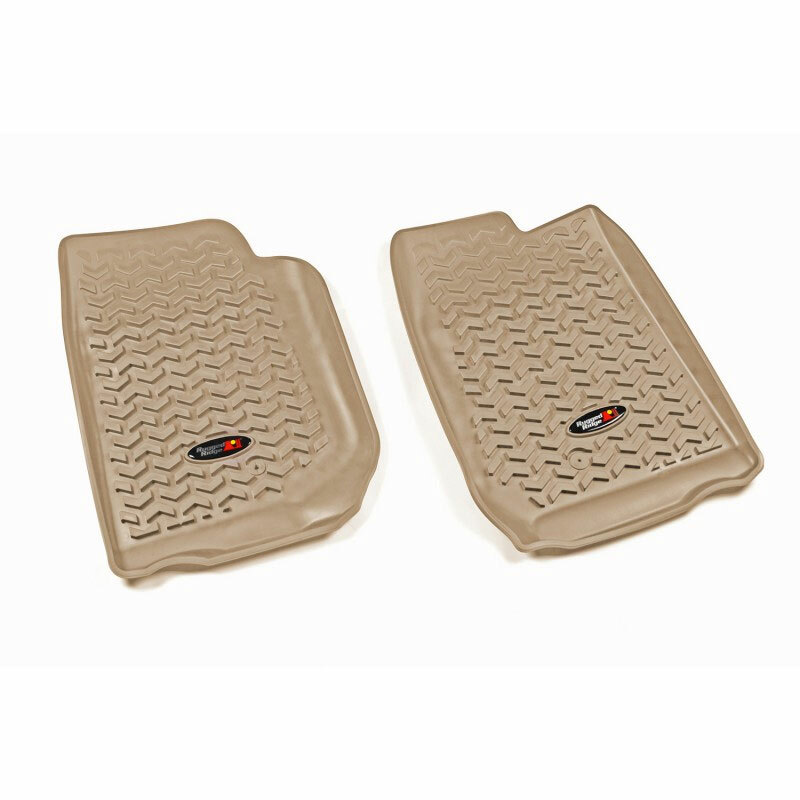 Kit Includes: Custom Fit Front Floor Liner Pair in Tan Color. These Jeep Wrangler JK Custom Fit floor liners are a totally new concept that combines all the best features of a deep rib floor mat and the ‘old style’ liners. Precision engineering using state of the art technology ensures an exact fit to the shape and contour of your JK Wrangler floor. The deeply molded chevron-shape tread pattern channels dirt, mud and snow away from the driver to keep shoes and pant legs clean. The high perimeter wall offers a large footprint and maximum interior protection and containment. Raised nibs on the bottom provide maximum retention and keep the liner in place. The unique self-sealing floor hook attachment feature helps to prevent dirt and moisture from getting through. Easy to remove and clean. Simply hose them off and go!! !